A riveting, exhilirating adventure brought to life by the most epic of love stories. One of my favorite reading experiences of the year! Paranormal romance is probably my favorite genre to read. I love experiencing the romance against the backdrop of a make-believe world where anything is possible, where life and death choices almost undoubtedly shift the story in directions I never expect, where powers, passion and adventure entwine to deliver an epic story of love, self-discovery and a whole lot of heart-pounding action. 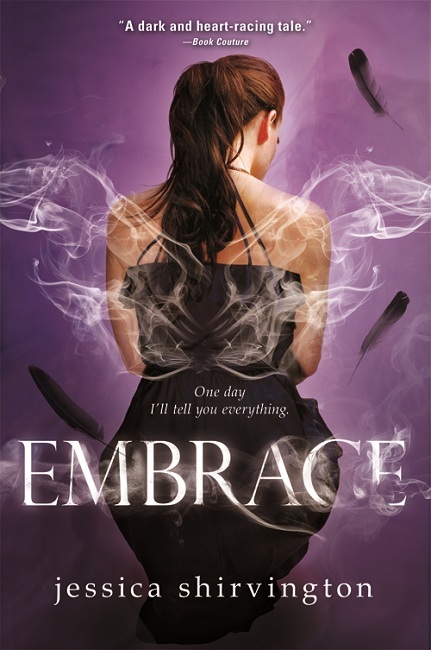 When my fellow book friend and acclaimed author Cora Carmack recommended I pick up Embrace as my next Audible book, I one-clicked and immediately was gripped by the story… by Violet and Lincoln and the unbelievable longing and desire between the two of them. I honestly didn’t intend to review these books as I listened to simply enjoy the stories unabashedly and without the pressure of a review, but now that I’ve finished the final book, I feel compelled to make everyone I know read these totally awesome novels. The Embrace series (or Violet Eden Chronicles as they are also known), follows the story of a girl about to turn seventeen years old. Her life is unknowingly at a precipice of great change, as she embarks on a journey to discover the truth of who she really is. You see, Violet Eden is not completely human, she is part Angel as well. She must exercise her free will and choose to embrace her destiny by joining a group of warriors called the Grigori, or forego a life riddled with danger, the unknown and a host of enemies determined to kill her. Moreover, her best friend and the man she has secretly loved, Lincoln, is a Grigori… a truth hidden from her that hurts so much, feeling like a betrayal from the person she cared about the most. I loved seeing their dynamic, a relationship that through the course of five books drove me to maddening heights as their desire, love and sexual tension felt nearly unbearable. Their relationship is totally epic, as is Violet’s journey to fulfilling her destiny. There are some amazing characters who are critical to her adventure, some people who I hated passionately at first and in the end, loved them all the more. People who loyal friends, who stand and fight alongside her as danger continues to confront Violet, Linc and their crew. I thought each book in the series was stronger than the one before it, with Endless and Empower being one of the most intense and best books I’ve ever read. 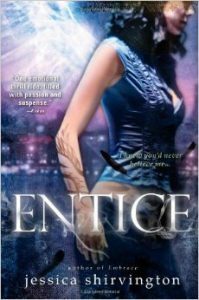 I was a woman obsessed with what would happen, crippled by the tension between Violet and Linc as their relationship took some insanely unexpected, nail-biting turns. “Everything is about to end, isn’t it?’ I asked. Lincoln stroked my hair and ran his hands down my arms before kissing me – just a light kiss on my lips, but one heavy with his love and I soaked it up. Action, suspense, romance, emotion… this series truly has it all. The pacing was exemplary, the character development was executed perfectly as I completely fell for everyone in these books. I was so invested in them, that so many times I felt my throat constrict as tears threatened to spill at everything that was happening. Bottom line, these books rocked my world and if you’re a fan of epic love amidst gut-wrenching, heart-pounding battles between good and evil, then these books will undoubtedly rock your world too. ps. If Jessica Shirvington happens to read this… I am BEGGING for a Phoenix book. BEGGING!! !